This is an eight-week discussion group for adults 55 years and older. 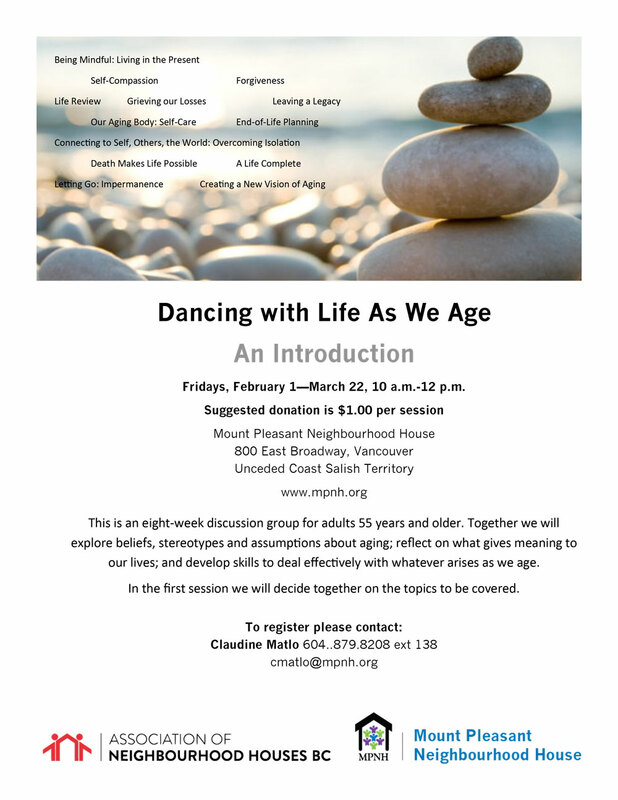 Together we will explore beliefs, stereotypes and assumptions about aging; reflect on what gives meaning to our lives; and develop skills to deal effectively with whatever arises as we age. In the first session we will decide together on the topics to be covered.